What do you get when you cross salsa with a fruit salad? 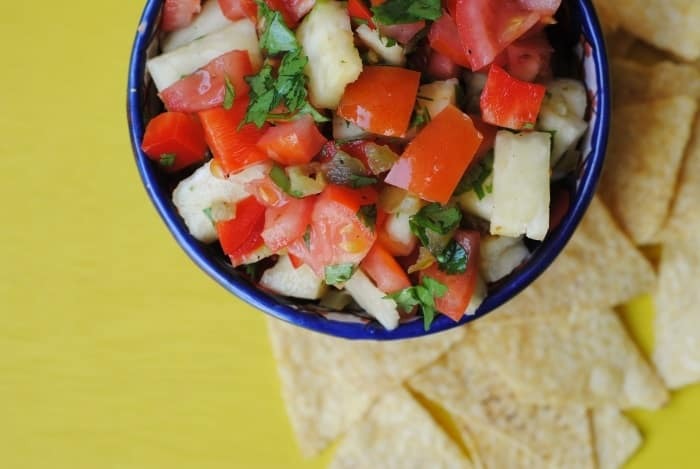 Grilled Pineapple Salsa! A zesty and fresh chunky salsa that can be added to so many different meals to liven them up without too many extra calories. Seriously, it would take me too long to list all of the things that you can put this one. Put it on top of grilled salmon, throw it in some pulled chicken tacos, cook it in a grilled cheese sandwich (yes, I am obsessed with grilled cheese sandwiches at the moment), mix it in to a salad. Just eat it out of the bowl! I like to make up a big bowl and keep it in the fridge for a few days and find new ways to use it. You guys, I am sauce and salsa obsessed. If you look inside my fridge, which you are welcome to as I am always having a peek inside other people’s fridges, then you will find mostly jars and bottles of sauces. I just can’t help myself. Dave always laughs at me because by the time I have finished adding sauces to my plate, everyone one else has nearly finished eating. It comes from when I first started losing weight and I was eating a lot more vegetables and a lot less high in fat food. Fat equals flavour, so although the healthy food I was eating was far from tasteless, to easy myself in to it I would add some sauces to it to make it more appealing to me. I was careful though, as sauces can really wrack up the calories. I tracked all the Weight Watchers points and made sure I wasn’t going sauce crazy. As my kitchen experiments got a little more adventurous, I started making sauces myself and finding ways that I could keep them as low in calories and Weight Watchers points as possible, which is where salsas came in. They are fruit and vegetable based and easily made zero points, which this one is. As part of the new Weight Watchers campaign, I am sharing with you some happy food memories to envoke the power of positive thinking this month, to prompt a conversation about how healthy eating can effect our mental health. For years, so many of us have held so much guilt around eating, and it’s time to take back control and have more positive memories associated with food. For me, food and travel go hand in hand. One of the main things I look forward to when visiting a new country is eating the local food, and man, do we eat a lot of food! One of the best foodie destinations we have been to is Mexico and I was overwhelmed by how many different salsas there were available, which is where today’s recipe inspiration comes from. 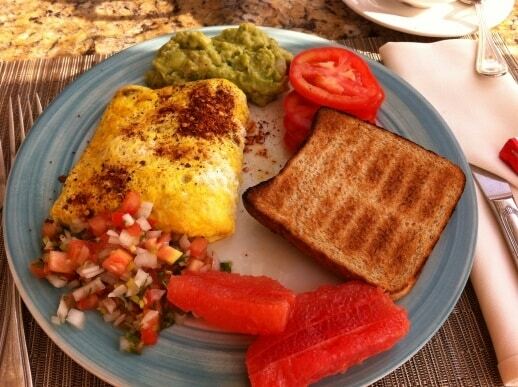 I have such happy memories of sitting down to breakfast every morning for 2 weeks with Dave in Mexico and watching him laugh at me as I piled spoon after spoon of salsa on to my plate, barely leaving any for anyone else. What can I say, I was immersing myself in to the local culture. The salsa highlight had to be when we went to a local taco bar and they served us up thus salsa selection, warming us that the ones at the top were very, VERY hot. Of course, they are the first ones that I went for. Hot? Meh! Not when you eat as many chillies as I do. 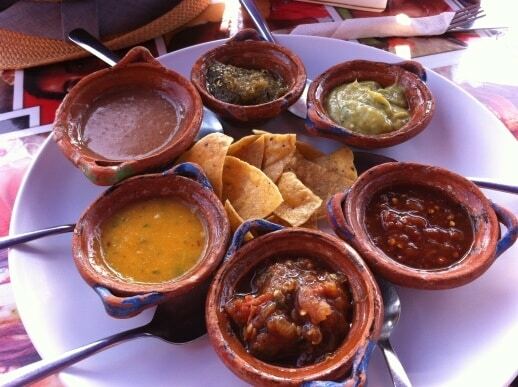 We make a lot of our own salsas at home now, and they always bring back such happy memories of Mexico. Sure, it could be easy for me to feel guilty of the sheer amount of food we ate over there, but there is no guilt at all! I was on holiday and when I got home I got straight back in to a normal routine. This is a happy mealtime memory for me, and all part of being kind to ourselves, which is what Weight Watchers promotes in their #WomanKind campaign. 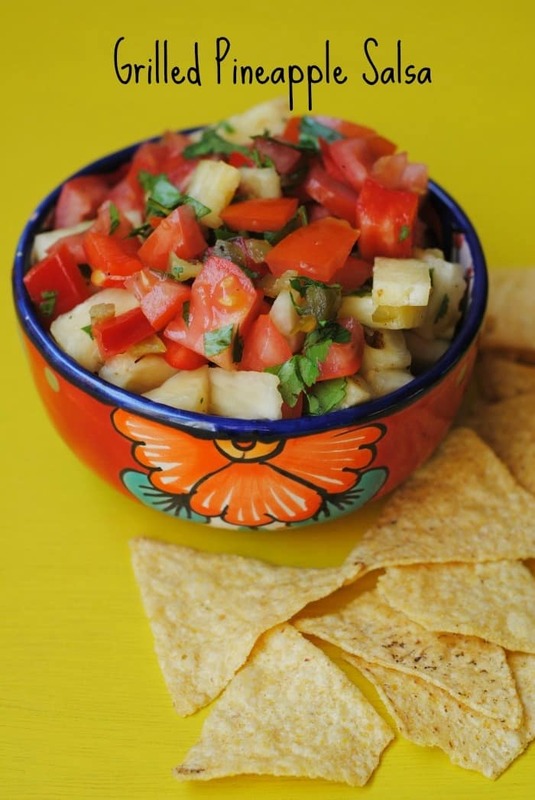 What do you get when you cross salsa with a fruit salad? 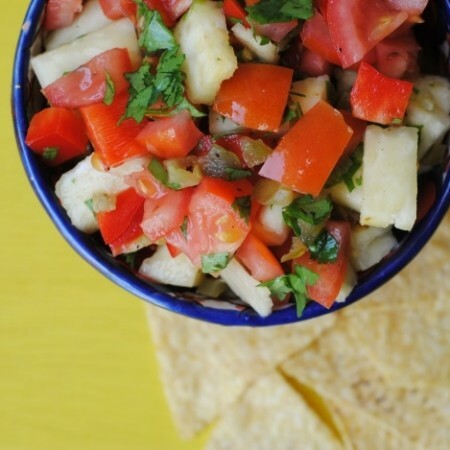 Grilled Pineapple Salsa! 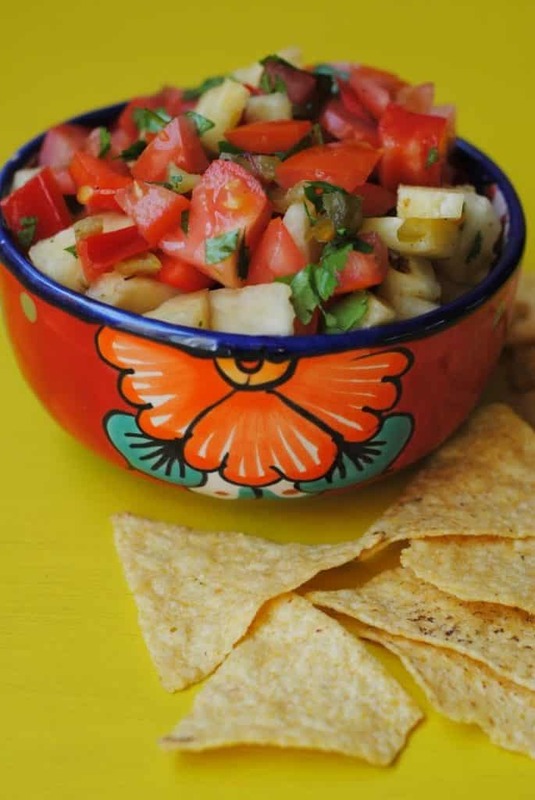 A zesty and fresh chunky salsa that can be added to so many different meals. Put the strips of pineapple under the grill for 6 minutes, turning each way. Or, cook on a BBQ for 3 minutes each side. Cut them in to chunks. Add them to a large bowl with the rest of the ingredients and mix well. Set aside for 10 minutes before serving. Your recipes always look so great! I really need to start cooking more. Omg this looks delicious. I am definitely going to make this after a quick stop at Tesco for some pineapple! I love salsa!! It’s so refreshing and delicious. This recipe is beautiful Dannii! I love the addition of grilled pineapple. Such a great idea! Yum! I LOVE salsa, and one of my favorites is pineapple! I’ve never grilled it however, and I definitely need to try that! This sounds so good! I’m a massive fan of pineapple and salsa so it’s definitely one for me to try! It sounds like a good salsa for you then! I have some more exciting salsa recipes coming soon! I do love salsa and pineapples too! Very inventive recipe. I love the grilled taste too. This might be a good way to get you in to salsa! Salsa never went wrong with my taste. I would love to try this recipe! I might have to make this for my other half, he adores pineapple! I would have never thought to have made this! 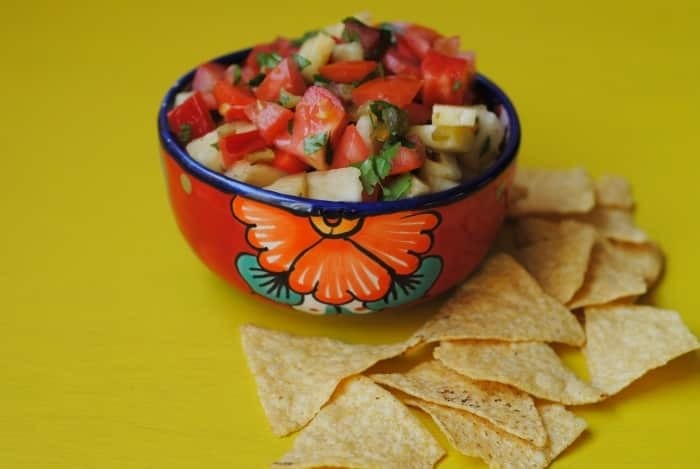 This sounds absolutely delicious, I would have never thought to put pineapple in a salsa like this! It’s the way forward I think! It’s SO good on tacos. 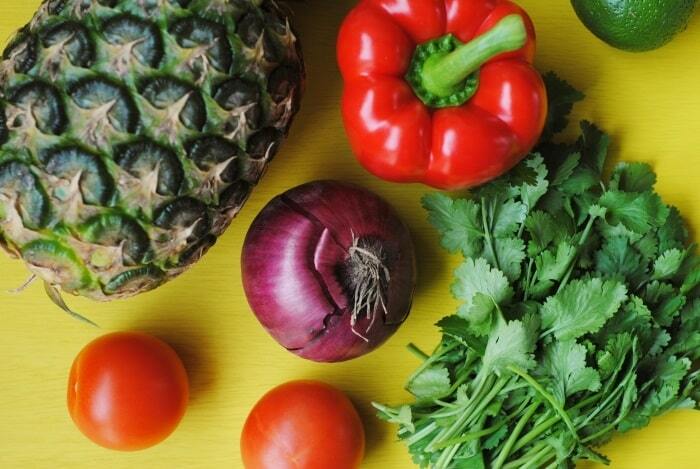 Love the recipe fresh, tasty and very healthy. It’s so fresh and summery. Girl this looks amazing!! I love pineapple salsa from Trader Joe’s! So good, but I bet it’s AMAZING homemade! SO fresh! Thanks for the recipe. Also, love this bowl! Oh my God, this sounds incredible! It would be awesome as a bruschetta. I love bruschetta! Actually this would be great in a variety of things. It would go brilliantly in chicken fajitas. That’s such a good idea. I am going to try that next. I LOVE homemade salsa, and all salsa in general. It’s the perfect addition to any meal. 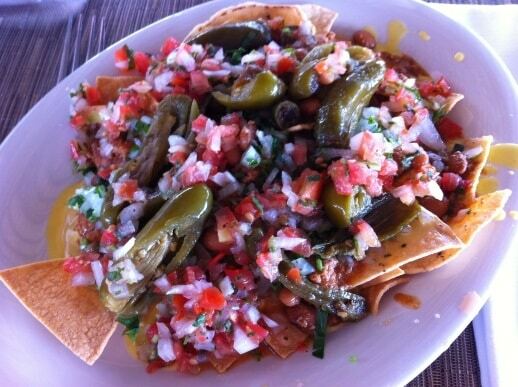 Great salsa — so colorful! Totally agree with you that 1) this can go with so many things, and 2) food and travel go hand-in-hand! Love this healthy salsa! I would put salsa on everything if I could. 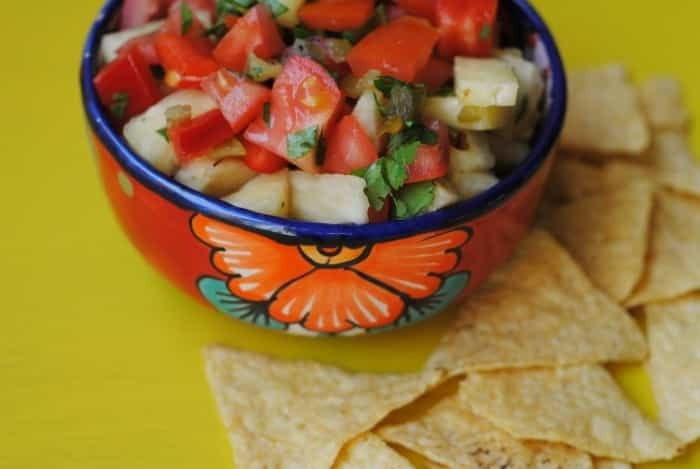 Love Pineapple salsa, it’s so easy to make and with hardly any calories you can eat the whole bowl! Or even eat 2 bowls! Yummmyyyyy!!! Love everything about this! Pass the chips! Passes the chips to you!